A luxurious home is more than just a lot of money spent on a remodel. There are elements that make your home luxurious including the flooring. If you have the wrong flooring in your home, you may lose some of the luxurious appeal that you were trying to create. Below, we will go over some high quality, luxury flooring options for your home. Each one will help enhance your home’s interior. If you want to create an upscale and rustic look in your home, you will find that hand-scraped flooring will provide a unique look. True hand-scraped wood flooring is not like any other flooring and each piece of wood is different from the rest. You can find an array of different styles of wood from pine to cherry and everything in between. When you are shopping for hand-scraped wood, make sure that the wood is truly scraped by hand and not by a machine. While you may associate carpet with a cheaper flooring option, carpet tiles are a bit different and you can choose any design you want. Instead of the same carpet pattern throughout your home, you can choose from alternating patterns and different colored carpet tiles. By choosing a beautiful design, color, and material, you can truly create a piece of artwork in your home. Natural stone is probably one of the most luxurious options you can get in your home. The smooth stones provide elegance and beauty throughout your home. You can choose from a variety of colors and patterns to ensure you get the look you want. Marble is a good example of a luxurious flooring option that many homeowners and even businesses choose. The marble provides an upscale look to each room. Beautifully crafted mosaic and glass tiles look amazing in any home and you will find that you can enhance the look of any room simply with the design you choose. Most tiles are hand painted to give them a unique look that is different from any other home. Many people enjoy the fact that tiles are easy to maintain and if something spills on them, it can be wiped up quickly without staining. If you really want to add a luxurious look and feel, consider having a master tile artist create a one-of-a-kind piece on your floor. If you are redesigning your home and you need help choosing the right flooring to bring the whole look together, the team at J. 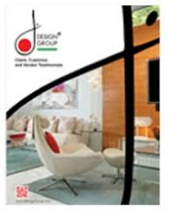 Design Group can help you. Our team of experts are able to bring your vision to life right before your eyes. Are you considering hardwood flooring in your home? Here are some reasons why you should choose hardwood floors.